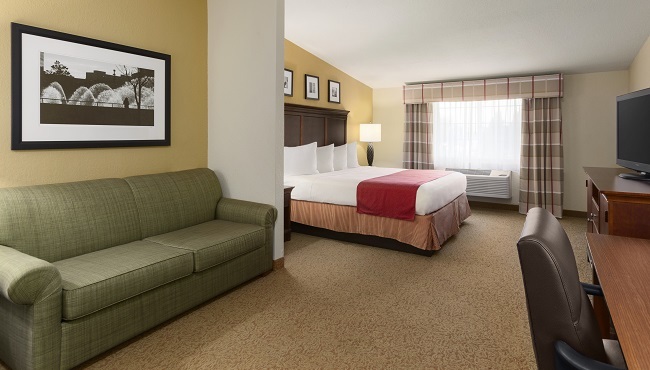 After checking in to your room or suite at the Country Inn & Suites, Woodbury, stretch out on the bed to enjoy a game on ESPN or catch up on your favorite HBO series. 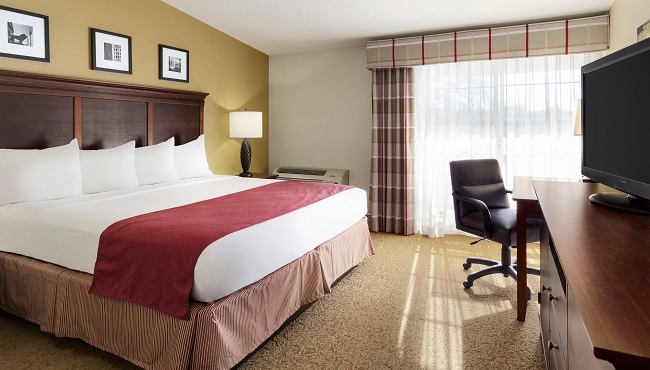 Free high-speed Internet access makes it easy to research the top attractions in the Twin Cities area, and you can place a room service order with Green Mill Restaurant & Bar to enjoy a delicious meal in private. Traveling with your family? Don’t forget that children 18 and under stay free in the same room with an adult. Families and solo travelers appreciate the flexible sleeping arrangements found in our standard guest rooms. 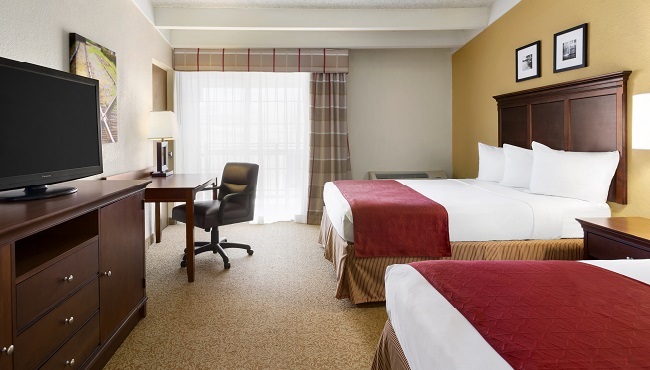 Choose between two queen beds or one king bed, and enjoy standard amenities like a microwave and a refrigerator. 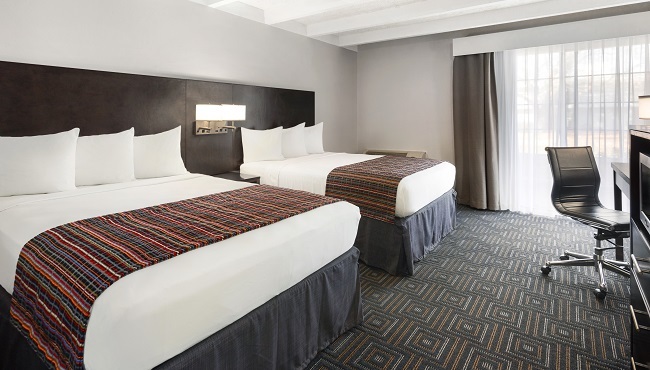 Featuring striking contemporary design, our Business Class Guest Rooms welcome corporate travelers with all standard amenities and a choice of one king bed or two queen beds. The Studio Suite offers a king bed and a seating area with a double sleeper sofa. Guests can also enjoy dual vanities, a dressing area and all standard amenities. If you’re craving extra privacy, reserve our One-bedroom Suite. A solid wooden door separates the bedroom, which includes your choice of two queen beds or one king bed, from the living room, which includes a double sleeper sofa.